Many homeowners are concerned about their environmental impact and are looking for more natural ways to clean their home. Traditionally many specialist companies used chemical treatments for air duct cleaning, but nowadays this need not be the case. Since the primary reason for cleaning is to improve the air quality home residents enjoy, it can be counterproductive to use harsh chemical agents which can be very harmful. There are a number of tips for natural system and dryer vents cleaning which can prevent high levels of pollutants and keep the system clean. • Vacuum regularly: This can remove dust and other particles of debris from the home, before they have a chance to be recirculated through your HVAC system. Ensure that your vacuum cleaner has a good filter and empty the bag regularly. • Wipe down all your surfaces regularly: Vacuuming is not enough to eliminate dust from your environment. Use natural oil or furniture polish and a cloth to wipe the exposed surfaces regularly. 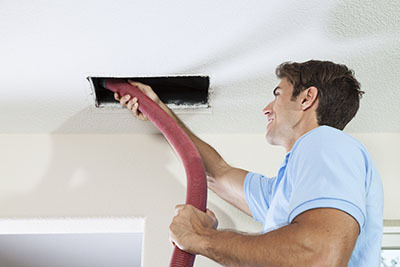 • Clean the vents: Cleaning the vents for the intake and outflow of your system can also be very effective. 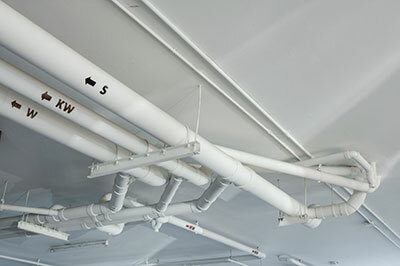 This can reduce the risk of dust build-up within the system. • Perform regular HVAC maintenance which features air filter replacement. The filters can reduce the particles of debris in the system but if they become clogged, they will be unable to perform this task properly. Ensure that you use a properly fitting filter in every slot for maximum effectiveness. but you should take care that no members of your family are allergic to any of the components of the natural products. A number of children have been shown to be allergic to coconut oil which can be the basic ingredient in a number of natural polishes or cleaners. 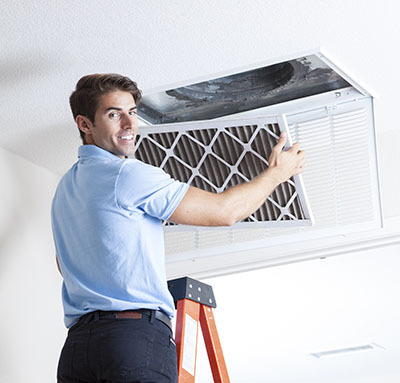 You should also conduct regular vent cleaning either by using a professional or doing it yourself to prevent a build-up of debris within the system.